Ellen Yiadom is Grameen Foundation’s Africa Legal Fellow. She graduated from the University of Virginia School of Law in May 2010 and is a recipient of Dewey & LeBoeuf’s Community Service Fellowship. Last November, I visited Grameen Foundation’s Mobile Technology for Community Health project (MOTECH) in Ghana. The project covers 15 health facilities in Kassena-Nankana, a district in the Upper East Region that is only a few miles from Ghana’s northern border with Burkina Faso. I was there to observe the operations of the project and help the field staff update patient care information. We flew into Tamale, the capital of the Northern Region of Ghana, and drove two hours to Navrongo, which became my base for this trip. As we drove from Tamale to Navrongo, I was impressed by the lushness and serenity of the natural landscape, which was a contrast to the bustle of Accra, Ghana’s capital, where I was born. Although there was very little human activity along the road, small towns would spring up along the way and the road would quickly become populated with people on bicycles, motorbikes and even an occasional donkey. These small vehicles often included several passengers. I even saw very small children riding behind or in front of their parents seemingly without fear. Upon arriving in Navrongo, I visited a health facility in Kurugu, a sub-district in Kassena-Nankana, to help update patient care information in the MOTECH system that provides customized health information to pregnant women through mobile phones. One key service is Mobile Midwife, which provides weekly phone calls and text messages to women about prenatal and postnatal care. 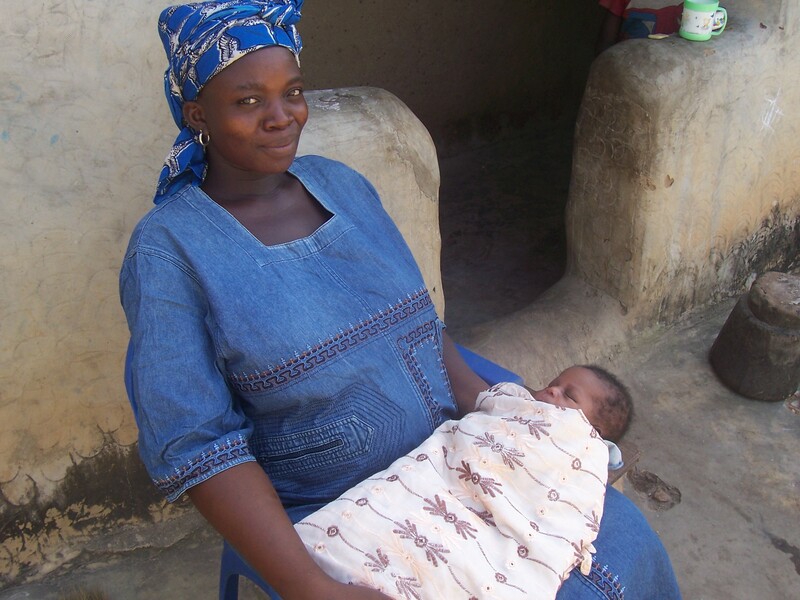 After registering for the service, pregnant women receive information tailored to their stage of pregnancy, while women with newborns receive vital information during the baby’s first year of life. For example, if a woman is six weeks pregnant, she would receive information about what to expect during her first trimester. 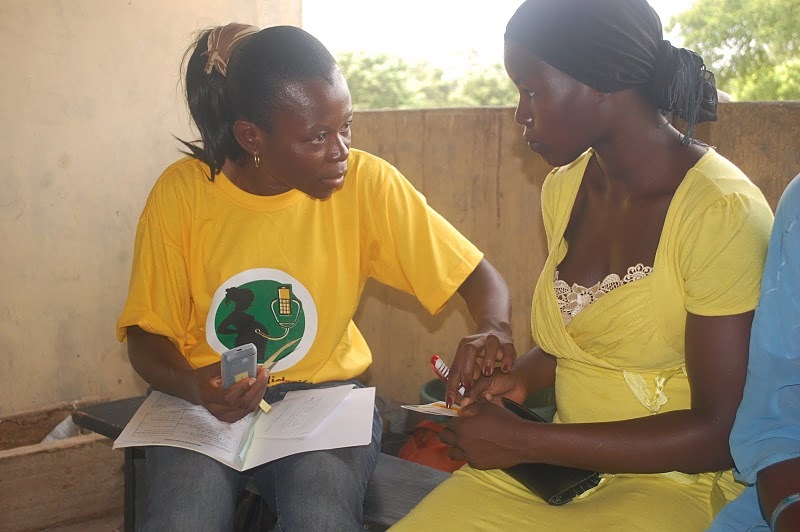 Additionally, the messages encourage the women to visit the nearest health facility throughout their pregnancy and give them tips on staying healthy during their pregnancy. Because Mobile Midwife is run through an Interactive Voice Response Server, women can call in to listen to any messages they may have missed. There’s also a call center where women can ask questions about technical issues such as the alerts and messages they are receiving; staff in the field also go out to meet with women who are more comfortable speaking in person than over the phone. Guest author Kathleen Odell is assistant professor of economics at Dominican University’s Brennan School of Business. Full disclosure: Last spring, I authored the Grameen Foundation report, Measuring the Impact of Microfinance: Taking Another Look, which was released in June 2010. I was asked by Alex Counts and Todd Bernhardt of Grameen Foundation to comment on Tom Heinemann’s recent documentary, “Caught in Micro Debt,” based on my understanding of the existing impact-assessment literature. I have just read with great interest the translated transcript of the Danish documentary “Caught in Micro Debt,” which aired on Norwegian television in November 2010. (I understand that there is an English-language version that has very recently become available, but I have not had the chance to watch it.) The documentary paints an unfavorable picture of the microfinance industry, making a number of criticisms. Reading the transcript, I find this film to be deeply biased and misleading on a number of important points. I don’t have much to add to the discussion about the transfer of Norwegian aid money from Grameen Bank to Grameen Kaylan, and this has been settled elsewhere. Similarly, the question of Grameen Bank charging usurious interest rates has been commented on at length, by David Roodman (his posts can be found here and here), by Alex Counts, and in the definitive study of the bank’s rates by MicroFinance Transparency’s Chuck Waterfield. I’ll focus here on a claim that the film makes in its introduction: “Tonight we ask if micro loans actually are helping the poor.” Now, here is a subject on which I feel fairly well-informed. For Taking Another Look – which was a follow-up to Nathaniel Goldberg’s 2005 report, Measuring the Impact of Microfinance – I read and summarized much of the recent literature estimating the impacts of various forms of microfinance on the lives of microfinance clients. Here’s what I learned over the course of that project. There is an important discussion to be had here about research methodologies and the nature of program evaluation. However, the point is that if you want to prove that microfinance isn’t helping the poor, the existing impact-assessment literature won’t help you.